"Excellent mobile application for air ticket management"
Excellent APP that allows the management of booking flights Southwest, streamlining the process of passengers in the acquisition of their tickets, allows real-time flight check, departure time and up to the door of entry all alzance of the hands of the clients. The creation of this app has allowed the travel company to optimize the processes for the purchase of airline tickets, using self-management by the users who plan to enjoy the services of the airline. Lyft Concierge has become the staple for our business because of its ease of use and manageable user interface. As a company that has employees always traveling, it has saved it time and money. No longer are expensive rental car days or taxi rides because Lyft Concierge does it all. We also love the fact that it takes away the financial burden and management from those who will be taking the rides. I really do not have anything negative to say about the product. Our company is thriving because of it. I definitely recommend using this product for your business operations. We are saving time and can coordinate transportation in a more efficient manner. This has saved our company thousands of dollars. Lyft now can allow you to advance book a ride where they did not previously. Allows my employees to book through there and charged to corporate account which allows us to just pay v reimburse. "It is useful for the population that I work with"
It is useful for the population that I work with. We have to get rides for people of all different types of technological usefulness. This allows the company to avoid the problem of people who cannot use technology. It is very useful. I do not like that it costs a bit of money. Also the drivers can be weird. Consider it. But...do not think that you will not have any other technical issues because of it. It can still be tricky to get a ride exactly on time. We have to get rides for people of all different types. This allows the company to avoid the problem of people who cannot use technology. It is very useful in that they do not have to get their own cars for themselves. The promotional offers are quite impressive. I find the quality of the service better than its competitor and the fares are cheaper as well. The payment options are pretty well organised. I would like to see more flexibility in choosing the driver as well as more availability of drivers. It is certainly worth giving a try. I use it sometimes for travel. I have had not problems so far in terms of accessing the application and navigating through it. "Best Way to Manage Client Rides"
The best thing about Lyft Concierge is the ability for me to schedule rides for not only my team, but also my clients, which allows them to come and go from our office without ease and leaves them impressed. 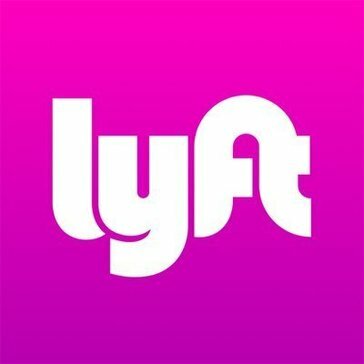 It’s still Lyft, there is still a chance that the drivers won’t be good. Having to schedule rides through a broker or 3rd party agency for my clients has completely been erased by using Lyft concierge. The app is predictable almost always, other than the seldom rush hour miscalculation. It's also easy to get past ride receipts. "I like it better than Uber"
Ease of use is good, and it’s integration of maps makes it user friendly. It can be a little costly, but no where near as costly as a cab... also, you never know who you are going to get really, to drive you.. they can be weird, or they can be very cool.. it’s a big mix. Also, a little tricky to make sure they arrive on time for pick up or for drop off. I can help arrange clients needing to get around out of town from one place to another by recommending lyft to them to get them to the appropriate place. Good app! I like that it’s convenient, accessible in a lot of major areas, and trustworthy. I appreciate that it is funneled through a larger company so as to ensure trustworthiness. Travel and convenience with business travel. I trust lyft moreso that taxis or other services that may be more local or independent. "Excellent product for companies that need to schedule rides for customers"
I had a brief experience using Lyft Concierge for a venue that puts on hundreds of concerts, weddings, etc. every year. Lyft Concierge is provided as an option for clients that book the venue to offer their event attendees. Makes scheduling safe rides home easier. The drivers are still normal Lyft drivers and get stuck in traffic or cancel. Easily allowing clients to get to and from the venue conveniently and safely. Neat offering to clients that can help hook them to book with us. "Love the app - it is easy to use!" I love how the app is extremely user friendly and clear. I like that you get to know a lot about the driver who is coming to pick you up. I dislike that you get to see the driver's reviews beforehand. SO user friendly - love the app! Being forced to rely on public transportation. The benefits are that I get where I have to go and I know around what time I will get there! "Flexible rides for customers and clients"
It offers ease and control for organizations’ passengers, employees, patients and clients. Allows to request rides on their schedule, just like they could in the Lyft app. Sometimes not a very good option for short drives and long pick-ups. Low percent of the payment goes to the driver. I use it for scheduling drives to and from entities and organizations. It has flexible hours for drivers and clients. The ease of finding a concierge in a busy city that you may or may not know is a great perk. Not too much to dislike, except that maybe the driver's temperament might be a detriment from time to time. I have used this app to commute locally in the USA. it provides good service and travel sharing facility. charges are always at the higher side in comparison to Uber. This makes it much less preferable. Recommend it to try and compare it in places where Uber services are not good. I have used this app to commute and shared rides. I think all of their drivers should be non smoking cars. I enjoy lyft as I have always had a better experience traveling with them over other ride shares. Cleaner vehicles and fast pick up time. We save the company money on travel when we utilize lyft. "Easy to use for company ride support"
* We monitor all Lyft Concierge reviews to prevent fraudulent reviews and keep review quality high. We do not post reviews by company employees or direct competitors. Validated reviews require the user to submit a screenshot of the product containing their user ID, in order to verify a user is an actual user of the product. Hi there! Are you looking to implement a solution like Lyft Concierge?